Ten days after hosting a soft opening, the new Ashley Furniture Homestore on North Reserve Street in Missoula cut the ribbon Friday and officially opened for business. Owner Jimmy Mai and his wife, Tiffany, will continue their grand opening event throughout the weekend. The store fills a building formerly occupied by the Sports Authority at 2640 N. Reserve, and currently employs 19 people. Missoula currently offers an abundance of vacant box stores, including those formerly occupied by Staples and Hastings. Mai said his location on North Reserve satisfied his demands, and Missoula was a logical place to expand his business. 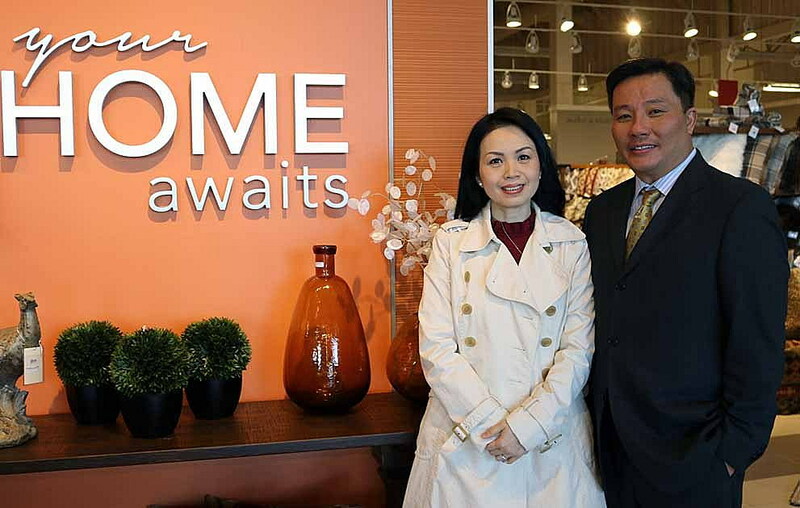 Mai opened his Ashley Furniture Homestore in Helena in 2015. The former Ashley store in Missoula closed in 2010. The new Missoula store has no relationship with the old store, he said. Mai, who was born in Green Bay, Wisconsin, and spent most of his adult years in California, placed the size of the showroom at roughly 32,000 square feet. The modern appointments fit the Ashley mission, he said. Mai said he was coaxed to Montana by friends who spoke fondly of the state.